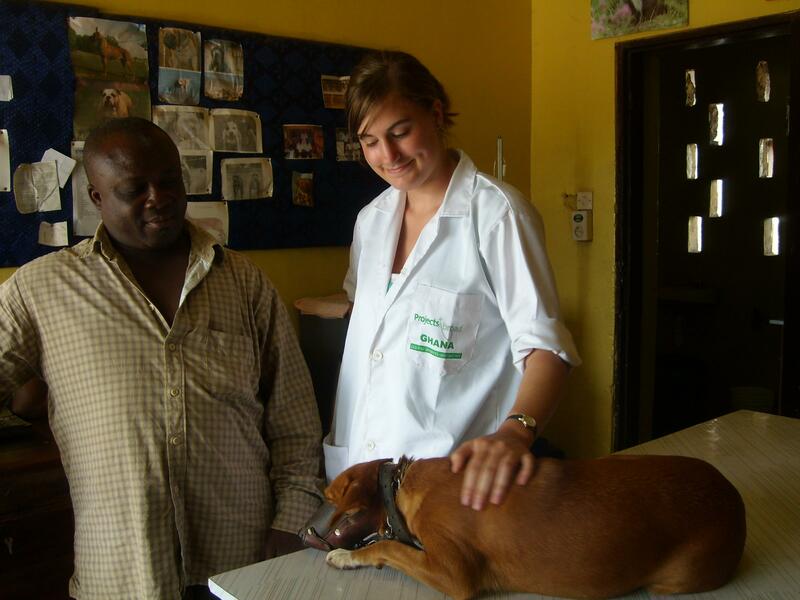 Join our Veterinary Medicine internship in Ghana and learn by shadowing and learning directly from experienced vets. 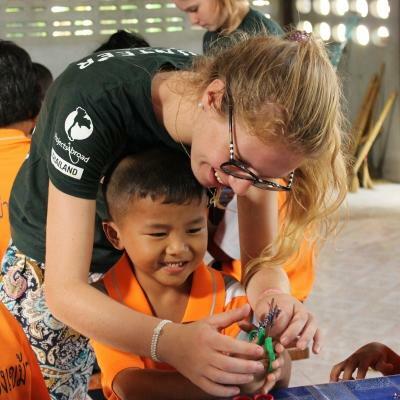 This is a great way to add work experience to your CV, and get a deeper insight into working with animals in a developing country. In Ghana, you can work with domestic and farm animals at a veterinary hospital, or shadow a vet treating livestock on a farm. You’ll help with wound care, vaccinations, or checking vital signs. You’ll also help set up equipment for surgical procedures. It may also be possible for you to observe post-mortems. 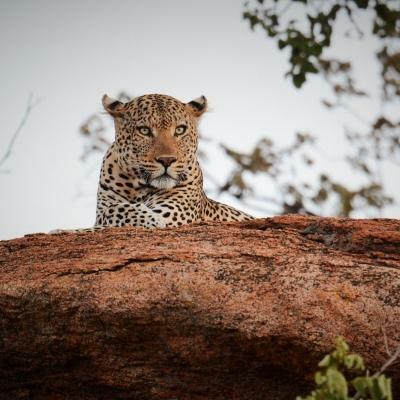 While in Ghana, you’ll live with a local host family in Accra or Akuapem Hills. When you aren’t eating your fill of foods like jollof rice and banku, you can explore the beautiful countryside and bustling towns. 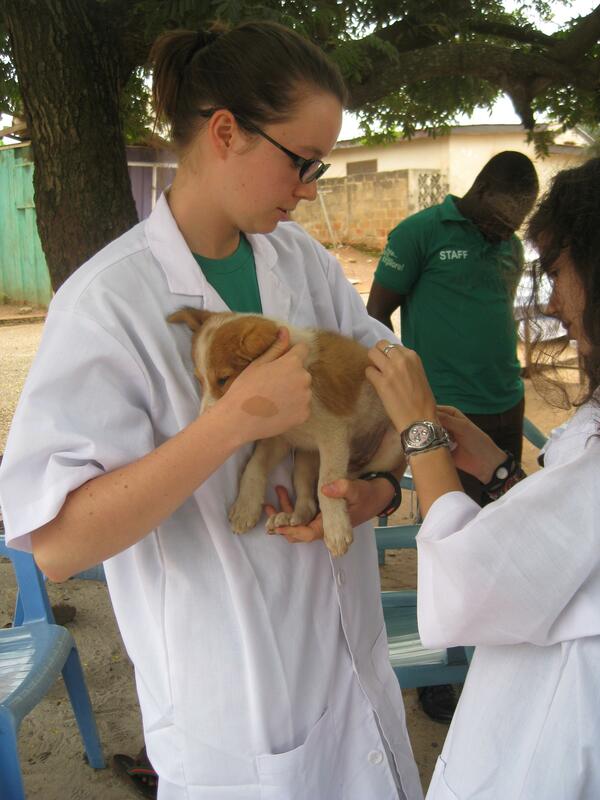 Is the Veterinary Medicine internship in Ghana right for me? Our Veterinary Medicine internship is perfect for anyone interested in getting practical work experience with animals. This is especially useful if you want to become a vet in the future. It will add relevant work experience to your CV, and give you interesting points to talk about in interviews and applications. You don’t need previous experience or training to do this internship. You’ll be supervised by a vet every step of the way, and they’ll teach you everything you need to know. They will be there to answer your questions as you learn about working with animals in a developing country. You can also reach out to Projects Abroad staff for support and guidance at any time. This project runs year round, so you can choose when you would like to join from a minimum of two weeks. We do, however, recommend that you stay for longer than two weeks to see and learn more. 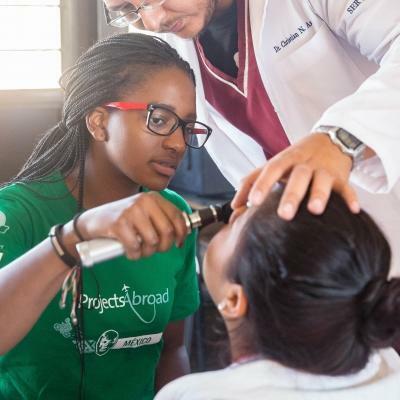 What will I be doing at my Veterinary Medicine placement in Ghana? Depending on your level of experience, you may get to assist with more hands-on work. You can assist the vet by preparing surgical areas and equipment, and lending a hand during operations such as sterilisations. On the odd occasion, you’ll be able to observe post-mortem surgeries. Here, you’ll be able to find out if an animal died from injury, disease, or other complications. In Ghana, there is often a lack of knowledge about animal care. Many animal and farm owners do not take their livestock or pets to the vet as they are unable to afford the fees. They often don’t have the means to travel for veterinary care either. Because of this, they either do not report cases of sick animals or leave it too late. If the animals do not recover by themselves, they can die from their conditions. By teaching the public about correct animal care, you’ll see lower mortality rates and help prevent the spread of disease. 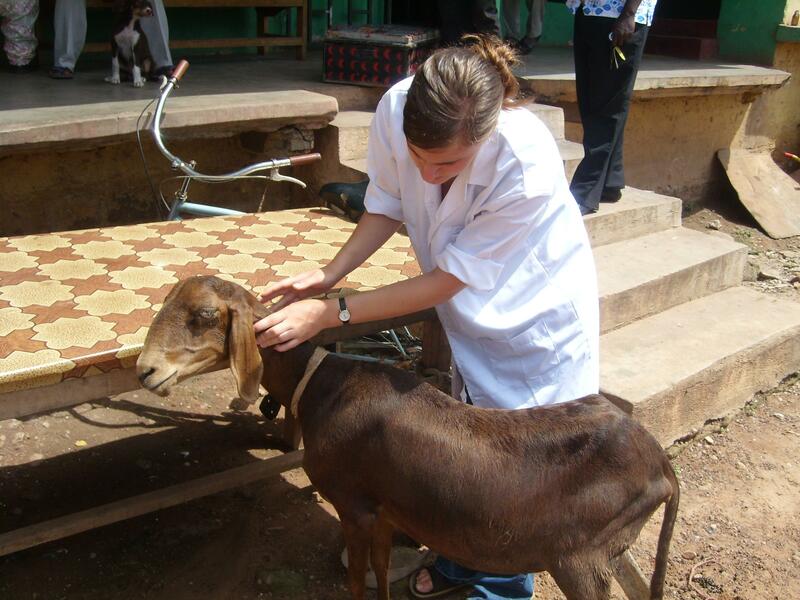 Where you will be working as a Veterinary Medicine intern in Ghana? You’ll work with farm and domestic animals at a local veterinary hospital. This private veterinary institution provides efficient, affordable, and quality veterinary health care to farmers and pet owners in Ghana. Known as one of the quieter regions in Ghana, Akuapem Hills is a beautiful area of lush vegetation, hilly mountainside and rich red earth. Scattered along the mountainside are small villages where you’ll experience a more traditional side of the Ghanaian culture. You’ll get to know the locals better and can enjoy dried fish and yams from a food market. You’ll be working on farms throughout the day, visiting and treating farm animals that require assistance. What will a typical day on the Veterinary Medicine internship be like? You’ll begin each morning with breakfast at your host family’s house. You’ll then get dressed into clothes you don’t mind getting dirty before grabbing a tro tro or shared taxi to your placement. On your first day, a staff member will accompany you and show you the way. A typical day on this project can start as early as 7am and end around 3pm. You can either eat a packed lunch during the day, or wait until your shift is over and enjoy lunch back at your host family’s house. You’ll meet with your supervisor and discuss the day’s activities before setting out for the day. Depending on the placement you chose, you’ll either spend your time at farms or a veterinary hospital. You’ll be involved in administering vaccinations, as well as assisting with operations and routine treatments, and observing post mortems. In the evenings and over the weekends, you’ll have time to yourself. 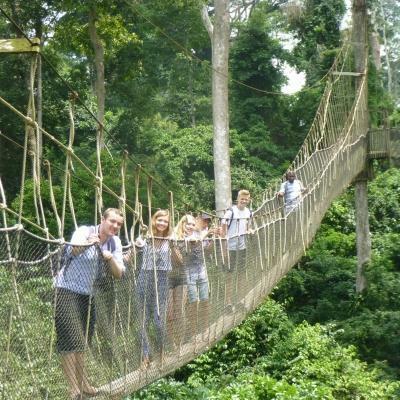 Use this time to sample traditional dishes like jollof rice in Accra, enjoy the beach in Cape Coast, and spend time with other interns and volunteers. The main aim of this project is to give you an educational experience and the opportunity to learn directly from local vets. You will also give back by helping care for animals and sharing knowledge on how people can better care for their pets and livestock. In Ghana, there is a shortage of vets. With only a small group of vets available to farmers and pet owners, many animals go untreated. Most vets work in cities, and farmers in rural areas have no access to them. In addition, a large percentage of human diseases come from sick animals. This means that you’re likely to see diseases that have been eradicated in your country. With your help, our partner vets can reach more people and animals to provide treatment. Treating diseases and distributing vaccinations will help prevent future outbreaks of animal related diseases. 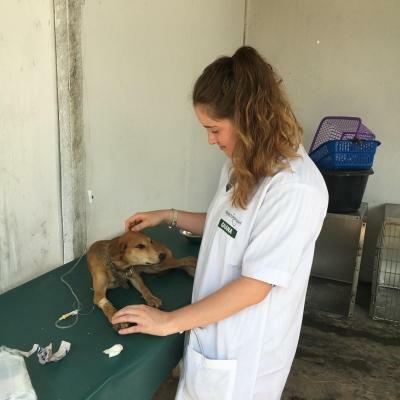 Gain invaluable veterinary medicine work experience in Ghana and give your CV an extra edge while promoting the welfare of animals. 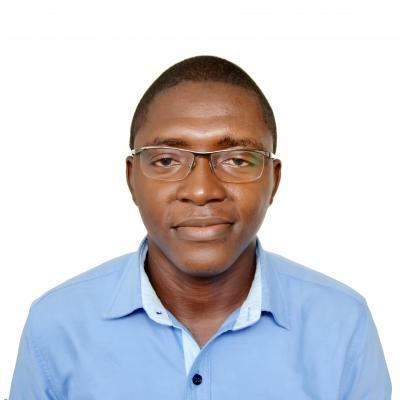 "Having observed a lot back home, I was able to actively get hands on in some situations, such as drawing up injections, taking temperatures and giving injections. 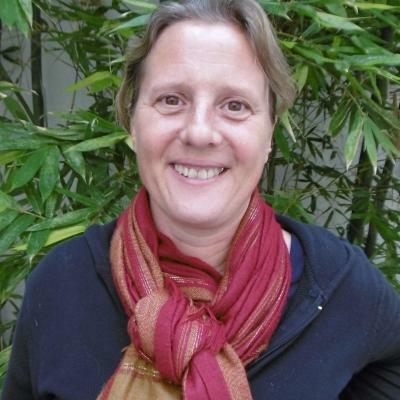 All the vets were so helpful and were really keen for you to learn."